Our proven and refined process is backed by 30 years of experience. Westmark Construction delivers award-winning excellence and quality in real estate development, commercial construction, design-build, and custom home building on Vancouver Island. Kettle River Timberworks designs and supplies custom timber frame homes and architectural timberwork . 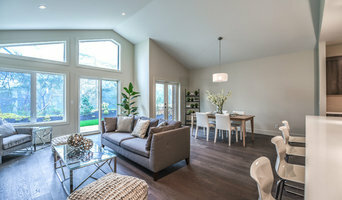 Welcome to JDL Homes Vancouver. We are an award-winning, licensed new-home builder and general contracting company in Vancouver, BC, owned and operated by brothers Doug and Jeff Langford. Visit our boutique design centre at 1910 Ontario Street, Vancouver. Serving Greater Vancouver and the Lower Mainland. Boutique Design-Build Company in Vancouver BC. Specializing in cost effective and energy efficient homes with a modern sensibility. We pride ourselves on the relationships we build with our clients and delivering them a beautiful product. At Novell Design Build, we design + build custom homes and laneways – providing full design services, and professional licensed construction. With our integrated multidisciplinary process, we deliver projects from concept to completion with client-focused service. Passionate and creative, we stand above the competition, eager to push the boundaries of our industry and explore new ways of building smart and living thoughtfully. We are licensed builders with HPO, and Pacific Home Warranty, and proud GVHBA and BBB members. We are also RenoMark Renovators, a voluntary group of professionals adhering to a stricter code of conduct. Novell Design Build began in 2005 and was established by Laurel James and Angelito Camaclang. We are based in Vancouver, British Columbia. Contact us today to get started on your dream space! 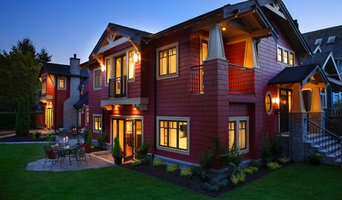 Corbet Homes is a boutique Design-Build Firm serving Vancouver's North Shore. Offering design and contracting services for both renovation projects and new builds, we combine form and function using layouts and finishes that reflect both today's contemporary designs and the client's own preferences. We create design concepts that evoke an elegant and warm simplicity while reflecting beauty and originality. Corbet Homes is committed to working closely with our clients to ensure that no detail is overlooked during the process and that each project is managed with the upmost care and consideration. We work with trusted, experienced trades to execute the project from concept to completion and always consider that we are building not just living spaces, we are creating homes. Ritchie Construction is a construction management company specializing in high end architectural projects. Your home will be just as you imagine it, your sanctuary, custom built around what is important to you. The space where you entertain your friends, raise your family and relax the way you deserve. A lifestyle is built around a home and Ritchie Construction embraces the responsibility of building this idea with you. Over the past 20 years, our clients have been giving us fantastic referrals because they know that building with Ritchie is a different kind of experience. Our commitment to quality is unparalleled. We build and renovate homes to the highest standard, which for us means using top quality products, efficient building methods, and highly skilled employees and trades people. We pride ourselves on building strong, authentic relationships with our staff, trades and clients. Relying on the enthusiasm, positive attitudes and expertise of our team is essential in creating a seamless experience for everyone involved in the design and construction process. People shape our business, and we are constantly thriving to expand our vision and our team to reflect the diverse projects we work on. We have built a culture that places people first; our employees represent the heart of our business and our clients represent the vision. The process of building a house needs to match the experience of living in it and our goal is to make our clients feel at home before we even break ground. Gilroi Construction is a Design Build Firm that offers Custom Construction Services for both custom an spec homes, renovation and interior design services. Our team will creatively collaborate with our client and work closely with all consultants and skilled trades involved from concept to completion to produce a thoughtful, innovative and gorgeous home. We understand the importance of honest budgeting, construction realities and reaching tight timelines contributes to a smooth project. Applying these ideals builds strong valuable relationships where everyone is greatly rewarded with an outstanding outcome. Design-build firms take on the responsibilities of architects, contractors and construction companies, all under one roof. These full-service firms focus on a streamlined design-build process — from the initial design to the estimating phase to physical construction — in the hope of creating an efficient experience for both the client and the company. Because the entire project is happening within one company, Nanaimo design-build firms are able to overlap the design and construction phases of the project, which often speeds up the project significantly. In addition, these firms work to minimize risks for the project owner through single-point responsibility contracts. However, depending on the firm, you may still want to contact an interior designer or architect to help create the exact look you want. Here are some related professionals and vendors to complement the work of design-build firms: Interior Designers & Decorators, Landscape Architects & Landscape Designers, Architects & Building Designers, Photographers. Before deciding on a residential design-and-build company in Nanaimo, BC, think about what you want from your new home. Do you want a large kitchen for entertaining? Do you need several bedrooms for children and guests? Do you want a finished basement for extra space or storage? 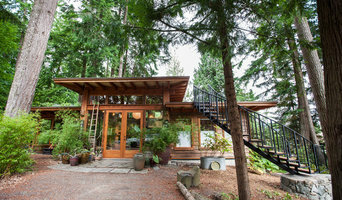 Look for Nanaimo design-builders that specialize in the areas you're looking for. Budget is obviously a determining factor in the outcome of your project. To make sure you stay within your means, consider making a must-have list and a wish list. Gauge where the estimates are falling to determine which design-build contract can realistically strike the balance between the two. 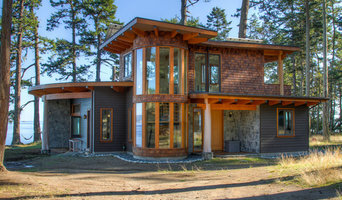 Find a Nanaimo design-build company on Houzz. Narrow your search in the Professionals section of the website to design-build firms in Nanaimo, BC. You may also look through Nanaimo, BC photos to find a pool you like, then contact the design-build firm that created it.